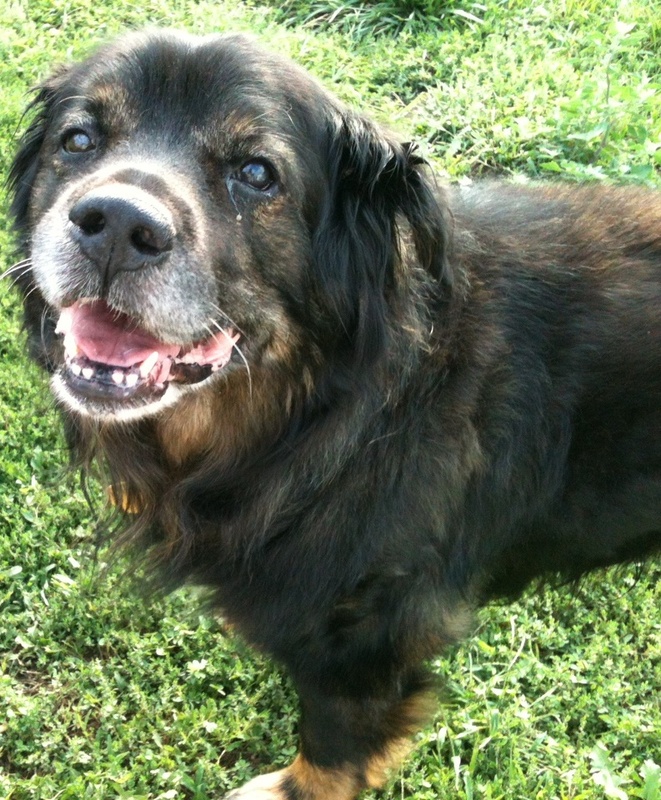 Pet ownership can bring plenty of unexpected benefits to seniors. 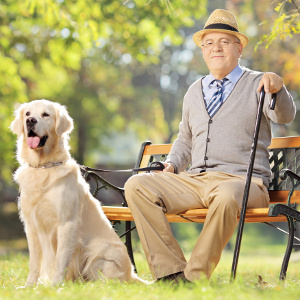 For starters, research shows that older adults who own a dog walk an average of 22 minutes a day more than seniors who don’t have a dog, and pets are even used in therapy techniques to help seniors with mental illness or dementia. 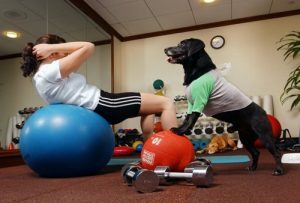 While the benefits to pet ownership for older adults are numerous, there are also unique challenges when bringing your pet to an assisted living community, including some communities’ lack of space and restrictive pet policies. 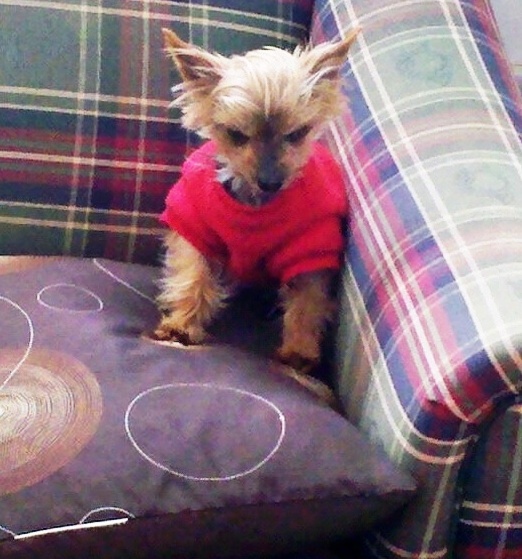 Hello, my name is Jeanie. I was invited to share with you about Essential Oils and how you can incorporate them into the life of your pet. May have noticed controversies over using Essential Oils for and around your pets. I hope through this, I can help you learn a little more about that. First and foremost it’s important to know the difference in Essential Oils:. There are 4 types of oils on the market today. Most ones labeled “pure essential oils” or even “therapeutic grade” fall into the manipulated/augmented category because it is very common practice to remove heavier or “earthier” smelling molecules for a more pleasing aroma. Authentic essential oils are 100% pure throughout the bottle. There are no added synthetics or other species of oils. They make up the small minority of all essential oils on the market. You will often see an essential oil labeled as “pure” when they are not. There is a percentage of pure essential oil and a percentage of synthetic to enhance the final aroma. These types of oils often cause headaches and do not have any therapeutic action. These “essential oils” are not essential oils at all. Because there are no labeling regulations on the term “essential oil,” full synthetic oils are able to be labeled as pure and sold to unsuspecting customers to increase profit. These often smell nothing like the original plant, but they can be very close, and that is why a consumer may not know they are synthetic and have possible severe negative reactions. Perfumers are often hired by essential oil companies to help make the final product smell more pleasing and less earthy. They will take away some of the heavier molecules or add small amounts of another species to enhance the aroma. 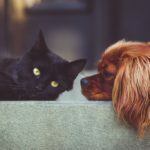 Are essential oils safe for my pets? Generally speaking, yes. However, animals are more sensitive to essential oils and some cats do not carry enzymes in their liver to process essential oils high in phenols, found in oils such as Clove. Treat animals much like you would a baby. Go low and slow. Pay close attention to their reaction. They will have a more physical and guttural response. 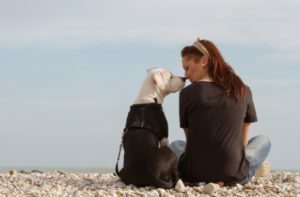 Their sense of smell is more sensitive than ours, so a great way to introduce oils to your pet is to wear them on yourself and then approach them to see how they respond. They will let you know right away if they like it or not. Always use a carrier oil, such as Grapeseed or Fractionated Coconut Oil when placing oils on your animal. Also, always have a carrier oil close at hand, should your pet respond in a negative way so as to dilute the essential oil more. 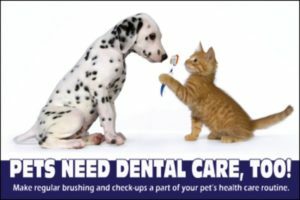 One of the key factors in using essential oils on pets (and humans for that matter) is that you find a brand that is pure throughout the bottle. 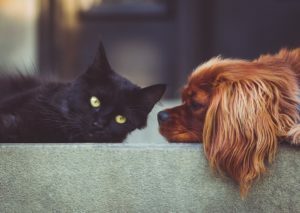 Common ways to use essential oils on your pets is to dilute them in a spray bottle with distilled water to spray on their coat or use them with a carrier oil to rub on their paws. 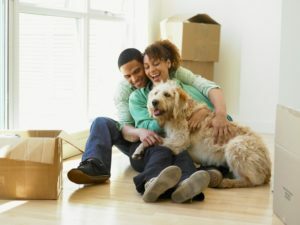 Some pet owners have found great success for stress management through the use of a cold water diffuser and 4-6 drops of calming essential oils mixed in the water. For topical application, use only 1 drop with 5 drops carrier oil. Rub on their paws, down the spine, on flanks, or on a specific location. For topical application, for every drop of essential oil, use 4-5 drops of carrier oil. For topical application, use a 1 to 1 ratio. 1 drop essential oil to 1 drop carrier oil. For topical application, use 3-5 drops as directed on the label. Dilution is unnecessary unless directed to do so on the label. For topical application, use 10 drops to start and as directed on the label. Dilution is unnecessary unless directed to do so on the label. Only use this method on larger animals. For Dogs, you may place one drop and mix into their food. 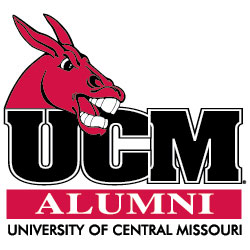 For large cattle or horses, you may place a diluted drop (1 to 1 ratio) on the inside of their bottom lip. 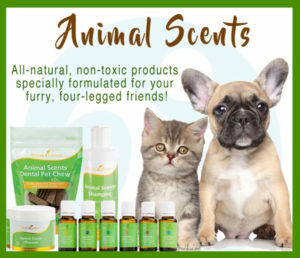 Young Living Essential Oils has created a line of products specifically designed for your pets! Caring for your pets naturally is just a little bit easier thanks to Young Living’s conscious development of their Animal Scents Oil Collection. This collection contains 6 specially formulated oil blends to support animals on a wise spectrum according to their common animal needs. The first three blends PuriClean, Infect Away and Mendwell were designed to work together to compliment each other on your animals. PuriClean is a 12 blend combination featuring Cistus, Citronella, Lavendin, Lavender, Lemongrass, Tea Tree, Mountain Savory, Myrtle, Palo Santo, Patchouli, and Rosemary. This combination helps to cleanse and purify such as in minor skin irritations. This can be applied on location with the roller ball on top of an oil bottle of oil or added to spray bottle with distilled water for spritzing application. InfectAway is a combination of Myrrh, Patchouli, Dorado Azul, and Palo Santo. 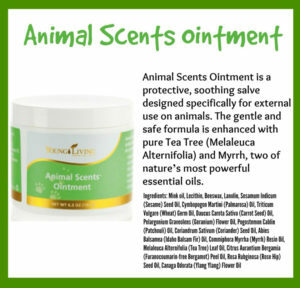 Used to support skin and support the immune system of your animal. 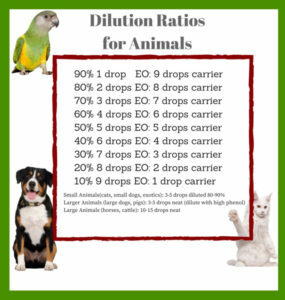 Add 2-4 drops to the animals coat or 8-10 drops to a spray bottle. Mindwell is a 6 combination of Geranium, Lavender, Hyssop, Myrrh, Frankincense, and the exotic Hinoki. For support of the immune system and is also skin supporting. Apply 1-2 drops on location. ParaGize oil blend contains Anise, Cumin, Fennel, Ginger, Juniper, Lemongrass, Patchouli, Peppermint, Rosemary, Spearmint, and Tarragon. 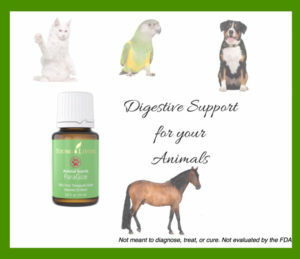 This blend is specially formulated for digestive support on your pets. It can be applied over abdomen with a warm compress to push oils in faster. RepelAroma oil blend contains Citronella, Idaho Tansy, Palo Santo, and Tea Tree oils. This one is invigorating and your pets will enjoy being outside when wearing. Can be applied to your hands and then to the Animal by stroking their back. 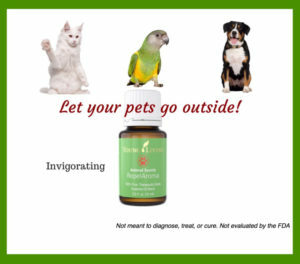 Nervous about putting essential oils on your pets, then if you are feeling unsure, encourage you to ask your Vet. However, essential oil use on pets can be a wonderful experience in helping to enhance the health and wellness of your furry family. 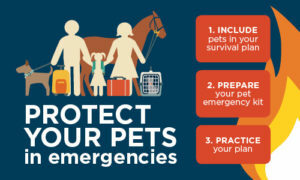 As you can see, this collection could be quite beneficial for supporting your large and small pets. Take caution with smaller animals and dilute appropriately. 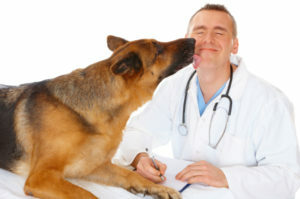 Check with your holistic Veterinarian if you have any questions. The Young Living Essential Oils Veterinary Advisory Council provides valuable insight into the development of our pioneering essential oils and oil-infused products. This professional organization comprises prominent scientific professionals from around the globe, uniting years of experience in natural products. The council’s unmatched leadership, expertise, and passion for essential oil innovation are redefining the way the world thinks about wellness. 1. 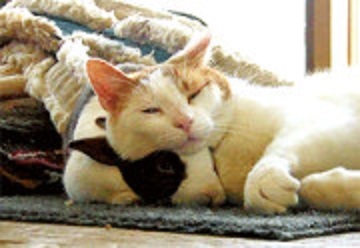 Head Butting-(‘bunting’), cat is rubbing his scent on you and saying ‘you’re mine’. 2. 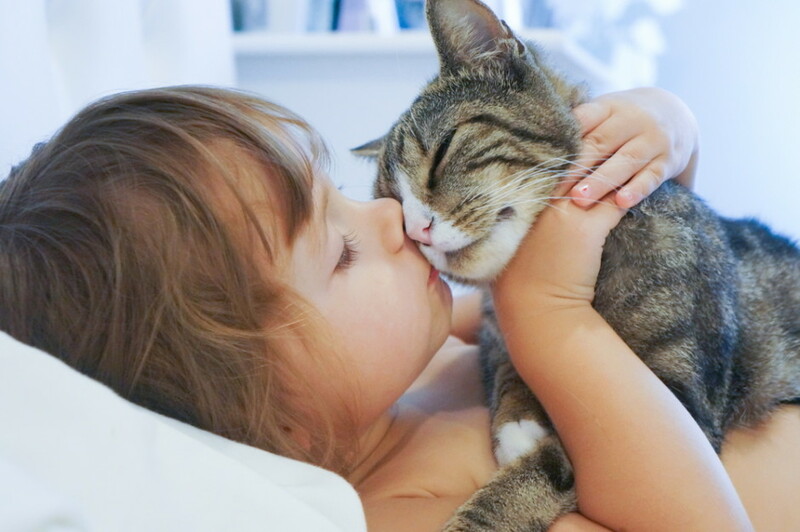 Power Purring: purr is loud, vibrating, powerful, know your cat is feeling loved. 3. 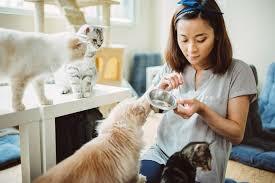 Kneading– cat is kneading your lap, especially if drooling at the same time, sure sign of love. 4. Licking You licks and grooms you, (often your hair or ears) he is welcoming you as a member of the family and showing his love. 5. Belly Up asking for a belly rub is a sign of supreme trust, and a subtle request for love and attention. 6. Tail Twitching A tail action is a clear indicator of their mood. Cat holds their tail in the air with the end tip twitching is feeling extremely happy. 7. Sleeping on You Cats like to feel safe and secure when they are sleeping, cat decides to sleep on your lap or right along side you, a huge compliment and you know you’re well-loved and trusted. 8. Slow Blinking cat stares at you, then blinks, then open his eyes wide and blinks again he’s saying “I love you. 9. Love Bites Not all cats will engage in love bites, but when they do, you’ll know that they think you are really special. 10. Giving Gifts sharing their prey prize with you is the ultimate sign of friendship and love. Getting litter boxes out of sight, out of the way. Smelly messy litter boxes in a poor location can be quite a problem. Also there could be added stress of having cats track litter all over the home. 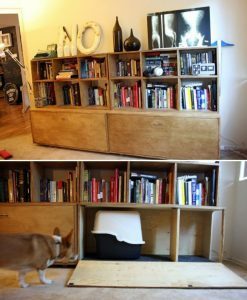 Just few ways hide your litter boxes. 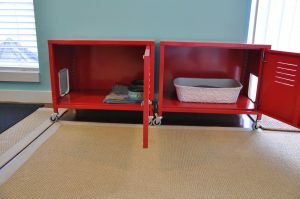 Put cat door into cabinets, furniture, shelves , or even indoor planter. Believe it or not, you can teach your dog to use your treadmill. 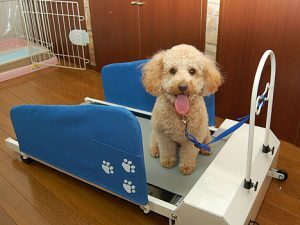 There are also doggie treadmills available. See Cesar’s link below for more details! Get outdoors! A 30 minute work-out in the snow will leave your dog exhausted. Have a play date. Set up a play date with a dog that your pup is friends with. Just make sure to hide the breakables! Cats purr because happy? Not always the case.